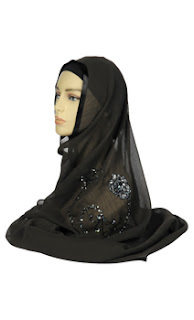 EastEssence- Online Islamic Store: How About Some Islamic Scarf Today? Seriously, is there any woman out there who doesn’t own a scarf? I mean you don’t have to be a fashion veteran or be doing the rounds of fashion corridors to realize its importance. Scarves tend to add grace, to your ensemble plus act as a part of the layer scheme providing more depth to define your look. Period! They have been a part of almost all iconic fashionistas’ must have list. Talking about the English women styling it earlier, it got adorned over the statement hats if not the nape of their neck. Be it belting it as a fabric tie to clinch waist or being worn out as a camouflaged muffler, scarves have plenty of reasons to make it to your wardrobe list, if they haven’t already and the reasons are other than the obvious styling and utility. For the uninitiated, you could Google the YouTube videos on top 10 or top 30 ways to style your scarf videos, and you’ll know what I mean. Winks! And perhaps that’s the reason owing to its versatility that it has had many takers from all parts of the world resonating with women’s innate fashion call. The Muslim women too wear the scarf but as a hijab i.e. head covering which adequately covers their hair. The Islamic scarf for women is retailed a bit differently with different assigned patterns, lengths and material which come under the banner of halal dressing. In simple words motifs which are deemed Islamic or halal! Like for one, we know that the set patterns do not have to have any facial representation as it goes against the tenets of halal dress code nor should bear any picture of anything living or dead. Such women’s scarves also bear a good length for ample coverage of hair and borne out of material which usually is not a ‘slip affair’ on the head. (Just imagine the multiple pins on the head to help tuck in a chiffon scarf on the head and nonetheless we still have many takers for Pashminas, and such is the irony) I guess it’s also imperative that I point out that Islamic scarves have a propensity towards eastern prints and fabrics with the orientlist elements being reproduced time and again. So you’ll easily find a pashmina with a rich Egyptian embroidery or a cotton scarf with a tie & dye dual print. Time you fancy a new scarf, eh?